Jason Scheib has been with The Arc of Somerset County for 15 years. He started his employment with The Arc as a Maintenance Mechanic. Early in his tenure, the agency realized the need for a position to help guide the growing demands of The Arc's fleet of vehicles. 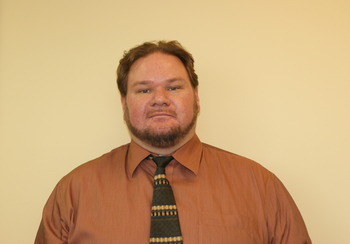 Jason was appointed to help develop, maintain and execute the newly created position of Vehicle Fleet Manager. Some of his responsibilities included: implementing a proactive preventative maintenance plan for a fleet consisting of over 50 vehicles; conducting quarterly vehicle inspections; coordination of vehicle services and repairs; development and management of the vehicle fleet database; vehicle purchasing & various trainings. In December of 2009, Jason was promoted to the Director of Maintenance, Safety & Security position. In his most current role, Jason oversees the components of plant and preventative maintenance for all agency locations and vehicles. He participates in tasks relating to budgeting, seasonal services, repair of agency facilities, equipment acquisition, quarterly inspection, licensing compliance and the on-call emergency response system. Jason is a certified New Jersey State Safety Council Defensive Driving Instructor. He received his degree in Information Technology Support from The Chubb Institute. In his spare time Jason enjoys hiking, camping, backpacking and attending live music events.